Gonzaga senior Devin Devine has taken Alice in Wonderland and turned the story on its head, developing a script that adds a steampunk flavor to the Lewis Carroll classic. 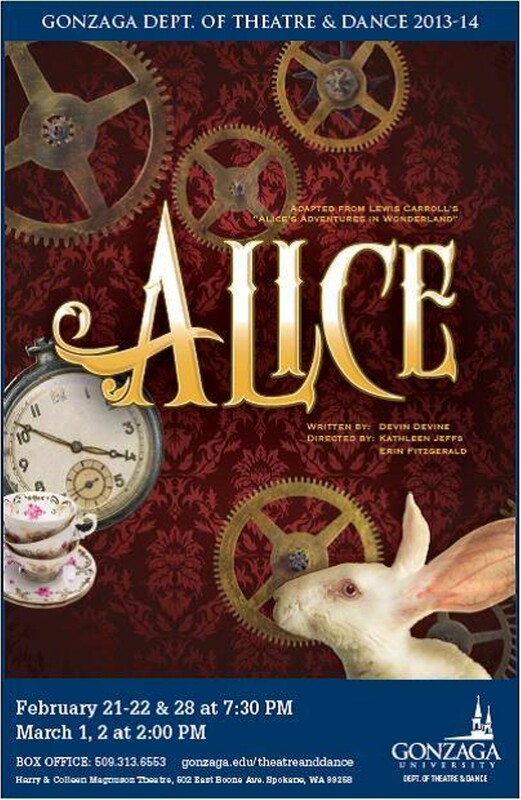 The production, directed by student Erin Fitzgerald and Dr. Kathleen Jeffs, features an industrial look that’s strikingly different from the technicolor Disney take on Alice. “It’s a gritty, quirky look and it’s going to be an appealing visual contrast,” says Fitzgerald, adding that the adaptation also incorporates themes from college life.